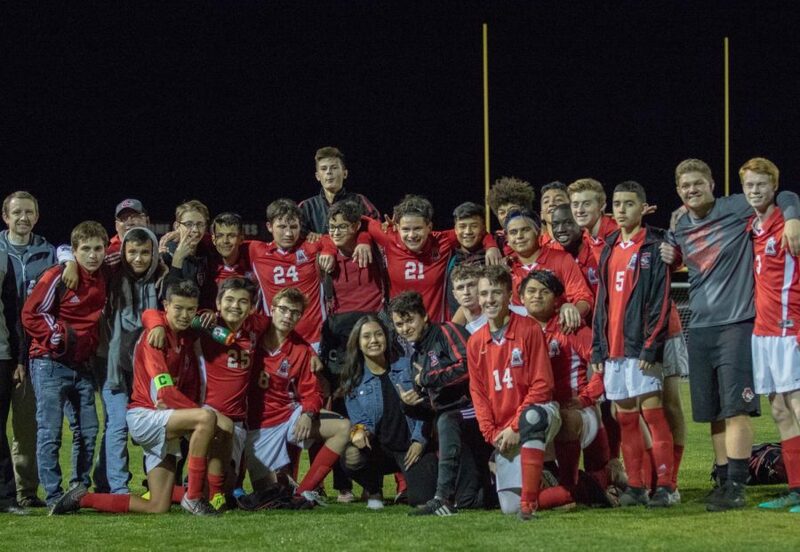 For the first time in since 2015 the varsity boys soccer team beat the Poston Butte Broncos. Games against Poston are part of at three-team rivalry between CHS, Poston Butte and Apache Junction. The game was a big deal for the team as head coach Oscar Guardado previously coached at PBHS for four years before coming to Combs. 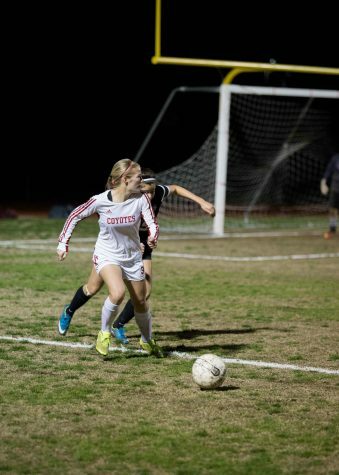 The Coyotes’ struck with a goal by junior Blake Foster. Poston played hard, but the Coyotes played harder scoring again in the first half by sophomore Abdoul Djoubeirou. Senior Adrian Alcaraz, who is playing for his third head coach in three years, has stuck with the team through some lean seasons that included no wins against the Broncos. Captain Kai Brady said that even though the Coyotes held an early lead, they weren’t sticking to the game plan. Once half time came around the Coyotes picked it up and played their game and were able to score two more goals to seal the win, 4-3. Four goals are a season-high for goals in a game for the Coyotes. But the boys have high hopes and want to go farther. “We gotta keep doing what we’re doing and we will make it to state,” said Djoubeirou. What area of coverage would you like to see the newspaper focus on? Coyotes rally for _________ during walkout. Girls Soccer Wins Region Qualifies for State.